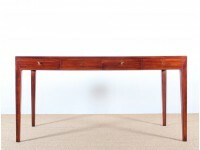 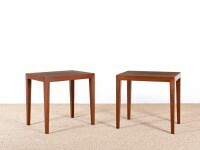 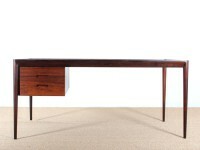 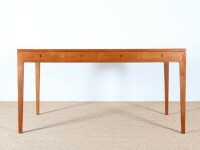 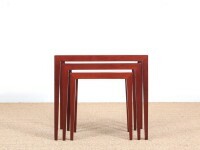 Danish furniture maker and editor founded at the beginning of the 1950s. 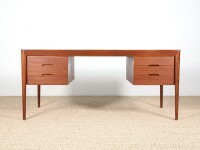 Haslev Møbelsnedkeri began production in 1955 with designer Severin Hansen and a series of day beds and convertible sofas. 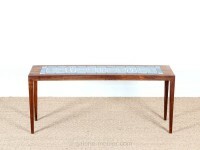 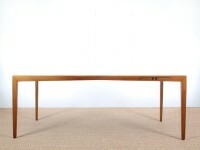 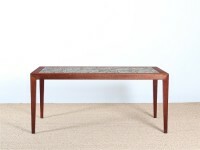 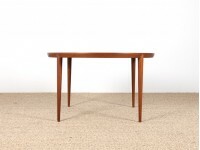 Haslev Møbelsnedkeri also produced other Danish designers including Erik Riisager Hansen, and Ole Wanscher who signed a series of coffe tables and stacking tables with very geometrical lines and a typical "envelope fold" assembly, which can be found throughout the production of the 1960s. 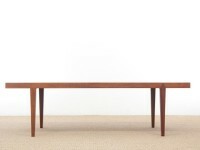 During the 1970s Haslev Møbelsnedkeri issued a series of coffe tables with ceramic decoration, in partnership with Royal Copenhagen. 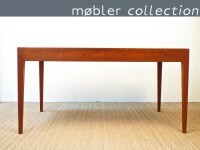 To date Haslev Møbelsnedkeri continues to produce contemporary furniture in the high-end cabinet-making tradition, produced in Denmark and hand-finished. 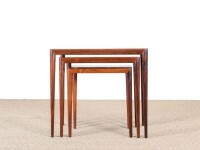 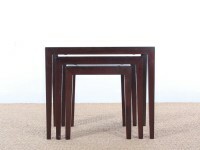 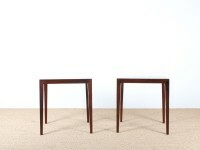 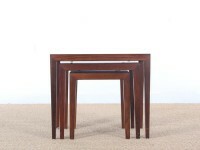 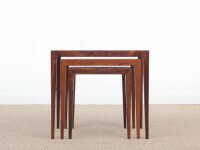 Scandinavian round table in Rio rosewood 4/8 seats. 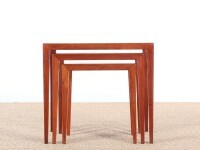 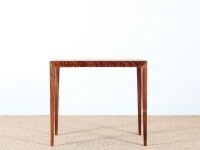 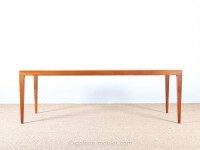 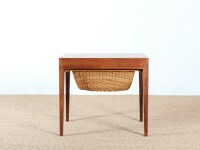 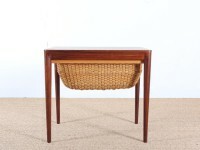 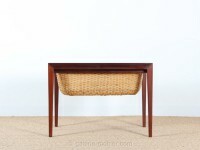 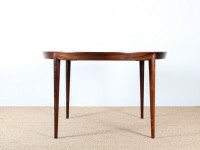 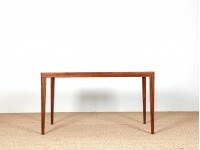 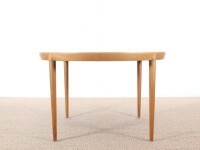 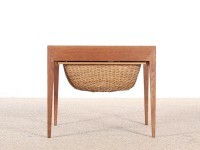 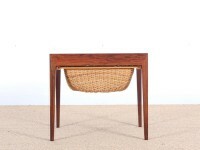 Mid-Century modern round dining table in oak by Erik Riisager-Hansen 4/10 seats.